Toned in Ten Review (2019) - Lose Weight in 10 Minutes a Day? 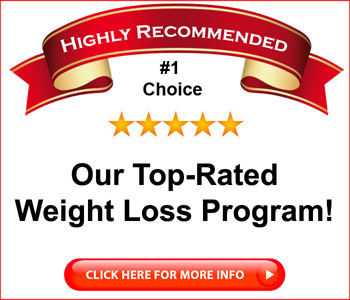 Toned in Ten Review – Lose Weight in 10 Minutes a Day? If you’re trying to lose weight, you’re not alone. Millions of people are overweight. It’s hard dropping pounds, though. You either have to try some weird diet, such as eating nothing but smoothies, or you have to turn into a workout fiend, hitting the gym for hours at a time. Most people don’t have the time or the money for those kind of workouts, so what can you do? Erin Nielsen has a new plan and her Toned in Ten workout program claims you can get fit in just 10 minutes a day. That’s impressive, and better yet, you won’t have to spend a fortune at the gym, either. Sounds great, so I thought I’d take a closer look and see what the program is all about. Is Toned in Ten a scam? Click here to visit the Toned in Ten Website. Read on for the full Toned in Ten review. 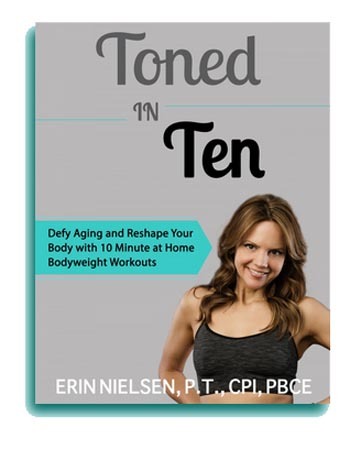 Toned in Ten is a combination product, consisting of downloadable ebooks and videos. 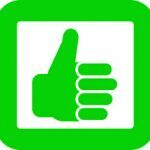 The ebooks are in PDF format and can be downloaded at any time of day. They can be read on many devices, including tablets, smartphones and laptops. The videos can be viewed online, or they can be downloaded in one of several formats – standard definition, high definition, and mobile. The main Toned in Ten book itself is relatively brief, which is a nice change from some of the 200 and even 300 page books I’ve been reviewing lately. 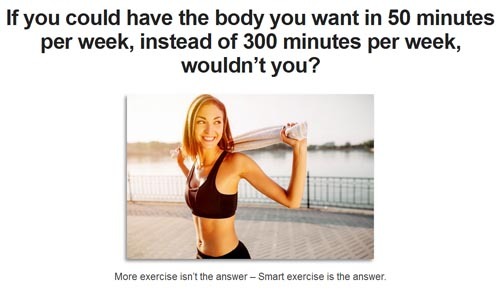 This 35 page book, written by personal trainer Erin Nielsen, devotes relatively little space to telling you why you’ll be doing what you’re doing, and devotes most of the book to the workout regimen itself. That’s fine; most people aren’t interested in the science so much as they are interested in results. That said, there is an introductory chapter in Toned in Ten that explains the science behind the 10 minute workouts, which I’ve been seeing in a number of products lately. The idea is that longer cardio workouts tend to increase the body’s production of cortisol, which is thought to lead to fat retention. To prevent this, workouts are limited in duration but increased in intensity. This means your workouts will be tiring, but by the time you’re worn out, you’ll be done. You’ll also continue to burn calories, so Erin says, for the next 36 hours due to something called Excess Post Exercise Oxygen Consumption. The first chapter explains why the plan works and after that, you’re on to the workouts. The Toned in Ten exercises are divided into upper body and lower body exercises, and you’ll be presented with a half a dozen exercises for each. You’ll work the lower body on Mondays and Thursdays, the upper body on Tuesdays and Fridays and you’ll do a Pilates workout on Wednesdays. The last half of the Toned in Ten book is devoted to explaining each of the exercises, with photos to accompany the descriptions so that you can see how it’s done. Of course, the program also includes 19 videos that show you how to do them, so if you’re more of a visual learner, you may want to go that route. The videos can be viewed online at the Toned in Ten Website, or you can download them from there in a format that suits you. They’re available in both standard and high definition, and the videos appear to have been professionally shot. Each of the 19 videos runs about ten minutes, and in those videos, Erin Nielsen narrates while a friend demonstrates how the exercises are performed. I’ve been reviewing a lot of weight loss programs lately, and like I said, most of them were long and involved, with a lot of space devoted to explaining the science of what you’ll be doing. Toned in Ten was refreshing in that the course was not only affordable, but it pretty much got right to the point. Most people aren’t interested in a lot of reading; they’re just interested in results. If you’re one of those people, then this program is probably going to be a good fit for you. The exercises are easy to do, they don’t take up a lot of time, and they won’t require that you purchase any special equipment, nor will you be required to join a gym. You can do the exercises anywhere you happen to have available floor space, though a floor mat is probably advisable. Other than that, you can do the Toned in Ten exercises any time and anywhere. 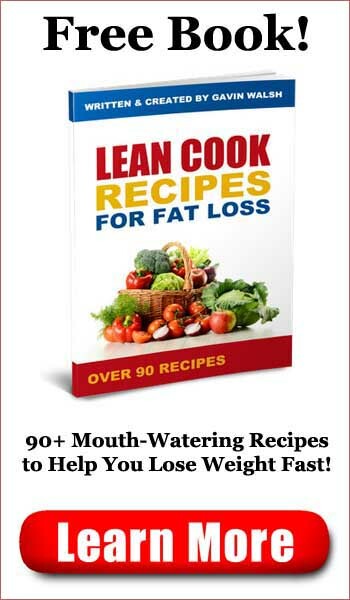 The diet recommendations in the book are simply guidelines; you won’t find recipes or a meal plan. Instead, you’ll get the usual list of foods that are good to eat, foods that should be eaten sparingly, and foods that should be avoided if you want to lose weight. You’ll be encouraged to drink lots of water and to eat lots of fruits and vegetables, while avoiding sugar, grains and dairy. 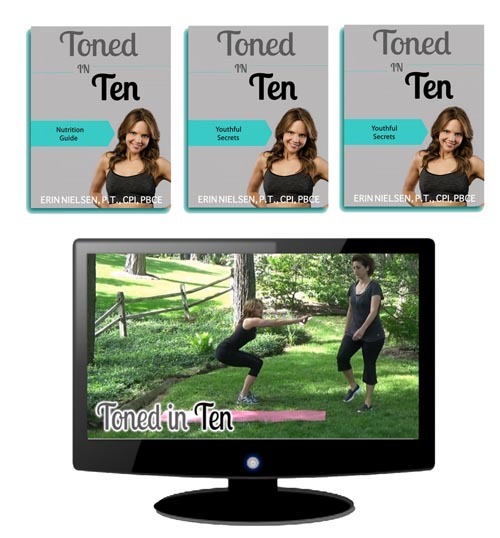 All in all, Toned in Ten is a solid program that’s affordably priced. Is Toned in Ten a scam? No, this is a solid, well-written, affordably priced exercise program that, if followed, will probably help you get fit and lose weight. The exercises are well explained, require no special equipment, and only take ten minutes a day to complete. The nutritional guide could be a bit more thorough, but that’s a bonus to the main workout guide, which covers the subject well. If you’re looking for a good exercise and weight loss program that won’t take up a lot of time, this one might be just the ticket. Toned in Ten is recommended.